Don’t be intimidated to install cabinet door hardware, I’m going to show you how easy it was to I install my cabinet door hardware. You won’t believe how easy this is, you’re going to want to hug me for sharing this information to you because it’s super easy, really it is! 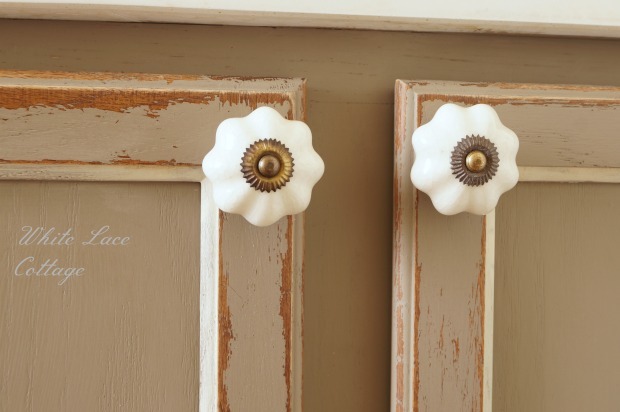 When I decided to paint my kitchen cabinets (you can view that HERE) I knew I wanted to add cabinet door hardware. Can you believe we’ve been in our house for eight years, and we just added cabinet door hardware to my kitchen cabinets after I painted them, and finally our bathroom! Two reasons I waited so long, one the cost of cabinet door hardware, and two I was afraid to make holes in my cabinet door for fear of messing up. I solved the problem of the cost for my cabinet door hardware, I found cheap hardware for my kitchen cabinets and painted them. And my bathroom cabinet door hardware is from Hobby Lobby, they were on sale 🙂 Next, was figuring out how in the world to accurately make holes in my cabinet doors without messing them up. Here’s the solution, it’s called Measure Pro. This little tool the Measure Pro made my job so easy! My kit came with a template to measure and a drill bit. 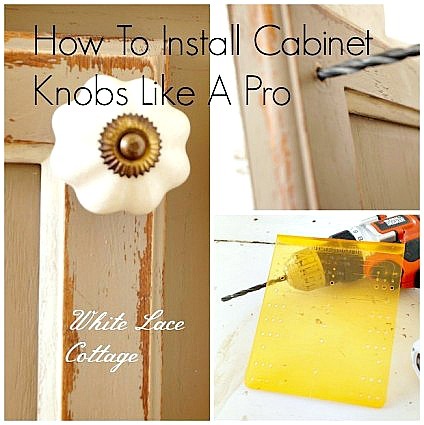 Let me show you how easy this is to install cabinet door hardware. First decide where you would like to install your hardware. 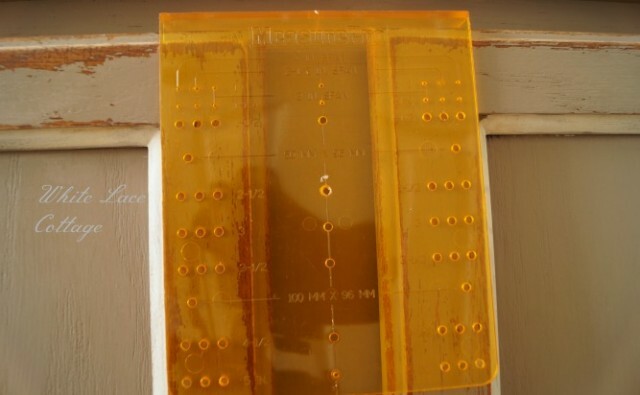 After you decide where you would like your knobs on your cabinet door , place the template on your door. I re-checked this several times to make sure this is where I want them to go before drilling. As they say measure twice cut once, but in this case, measure twice, drill once. I used a pen to make a dot, again double check your work make sure this is where you want your knob to go. You can do both sides at once which is great because you want them to match as much as possible. It won’t be perfect unless your cabinets are straight, mine are not. Most cabinet doors are uneven, so make sure you’re measuring correctly, and compensate slightly for the difference in the doors unevenness. Now it’s time to drill. 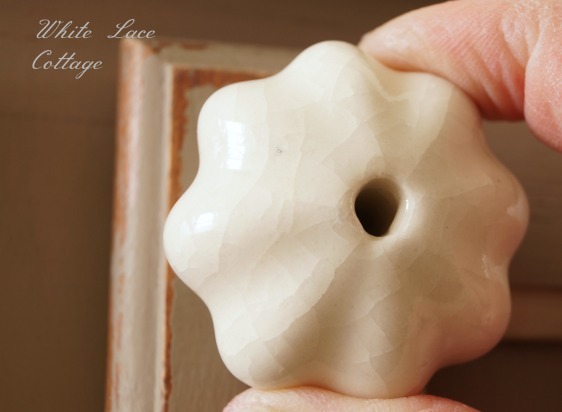 Get a piece of wood to hold behind the door you are drilling, this helps to prevent the wood from splitting or cracking as you drill. It’s hard to see the piece of wood, as I was taking a photo just after I drilled my hole, but that white board is my support board. That’s it, that’s all you have to do, now add your cabinet door hardware. 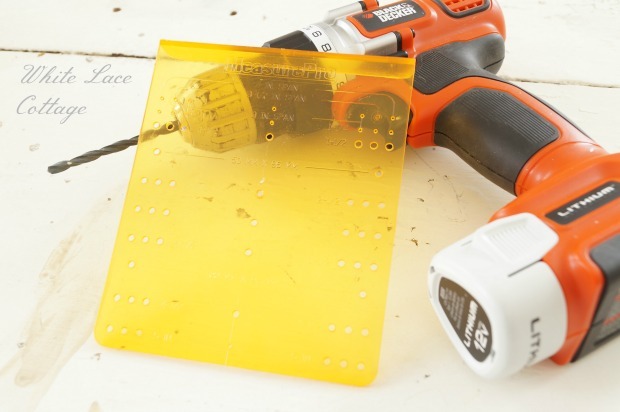 This handy tool the Measure Pro made this project super easy to do! 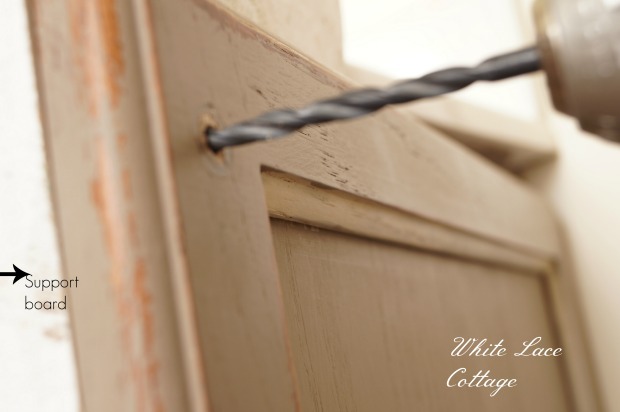 So if you’ve been thinking of adding cabinet door hardware, but you’ve been afraid, don’t be! This was super easy to do, and if I can do it so can you! Here’s where you can purchase a Measure Pro for your next project.